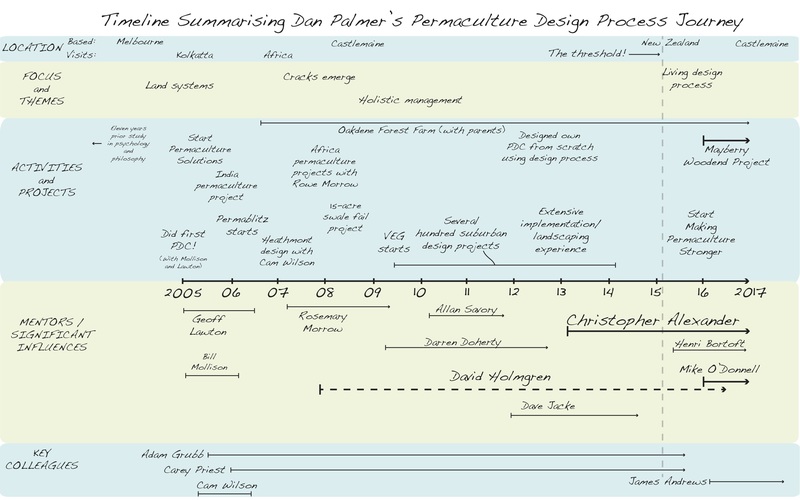 Building on the previous post, in this post I continue a leisurely re-walk through the Advanced Permaculture Planning and Design Process course David Holmgren and I ran in April of 2017. We started the second day with an exploration of David’s journeys with permaculture design process. I found it intensely fascinating to hear David’s stories and adventures with design process over the years. Here is some of what stood out for me. David emphasised his early appreciation of the critical importance of cultivating our ability to read landscape. 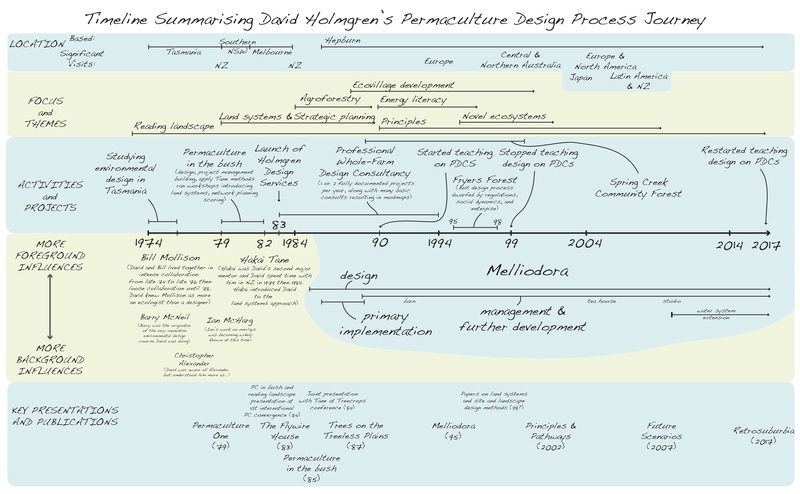 Refining and attempting to share this skill, you might even say, forms the backbone of David’s permaculture design process journey. Haikai is a mysterious, wizard-like character that David describes as his second mentor after Mollison. Interestingly, David learned design process from Tane, not Mollison (or, ironically from his earlier studies of ‘environmental design’). For David, Bill was at heart an ecologist rather than a designer. 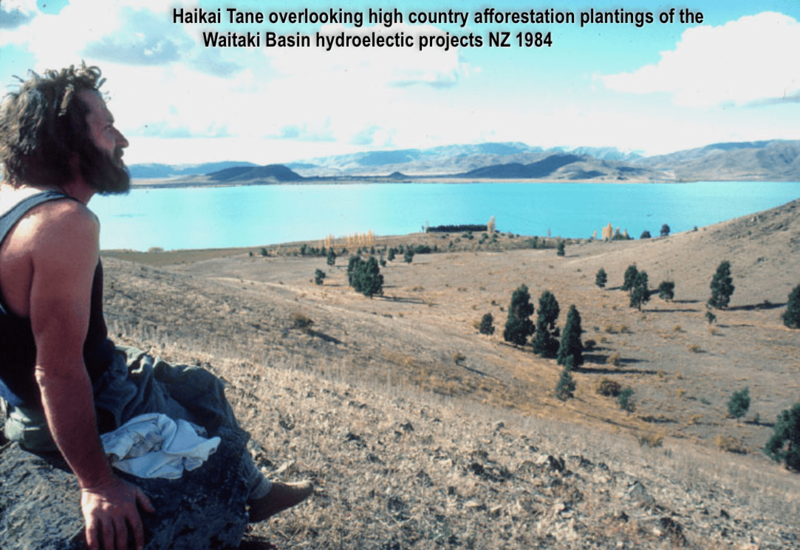 Haikai introduced David to strategic planning and the land systems approach, which they collaboratively refined into a joint approach to permaculture farm-scale development projects. The land systems approach emphasises reading or tuning deeply into the patterns of pre-existing differentiations in the landscape (based on ecological and geo-spatial information in a way similar to how indigenous cultures map land) and then basing subsequent design moves on these patterns. 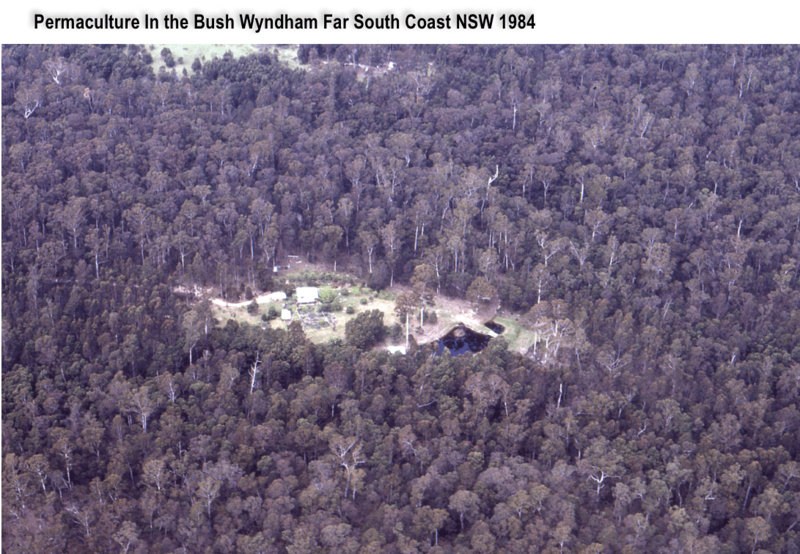 David crash-tested and refined this approach over the course of long-term, in-depth projects (his mum’s place as documented in Permaculture in the Bush, Melliodora, Fryers Forest ecovillage) as well as a lot of shorter consultancies (usually one day) in the period 1983-1994. Now David explained that something interested happened with strategic planning over time which is that it entered the universities and so on. In becoming institutionalised it became sterilised and impotent and effectively just another variation on a ‘waterfall’ or step-by-step linear process.2 In David’s words it became “degraded into a formula.” This was one of the reasons that David quit teaching design process on PDCs in the late eighties (he has only very recently started again). 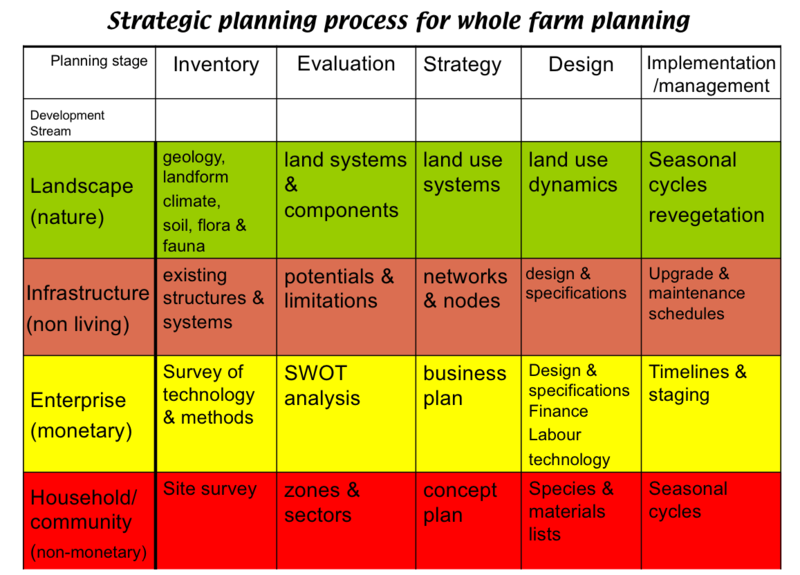 David also covered his critique of permaculture becoming over-reliant on the site planning approach which (with its zones & sectors) is useful for small scale nucleated development, but falls short when imposed on larger and more complex sites (where David finds land systems mapping and strategic planning are much more helpful). It was a nice day so for the next session we grabbed a cuppa then headed up to the school oval and found ourselves a nice spot to gather. There was something magic about that particular spot and the energy at this moment on the course which many people commented on afterward. As you’ll hear in the below clip from this actual session, some of what I shared was how, a few years ago I reached a fork in the path of my personal journey with permaculture design. So what was the fork? Well, I’d come to realise that permaculture has some pretty deep issues, and that my previous strategy of merely putting band-aids over the symptoms (or ‘cracks’) was not enough. Those thresholds, or doorways, usually begin to appear when our conventional ways of operating no longer work, when we hit a wall. We have to drop our old tools and redirect our attention to the field that is unfolding around and within us. It’s as if a crack appears in our reality; suddenly the crack is right there, in your face. The you have a choice: you can patch the crack, or you can stop: drop your tools, attend to the crack that is opening in front of you, tune into the crack, and redirect your attention to it. Then, go with the flow. The capacity to see the crack–to stop and look at it closely, is a key discipline of our time (p. 111). Details aside, I realised that that permaculture’s rapid horizontal spread at the surface was not being balanced or complemented by a deepening at its core. Further, if this pattern continued, I felt that permaculture’s incredible relevance to the future would likely not be realised. Hence the flavour of many of my most recent projects, including Making Permaculture Stronger. 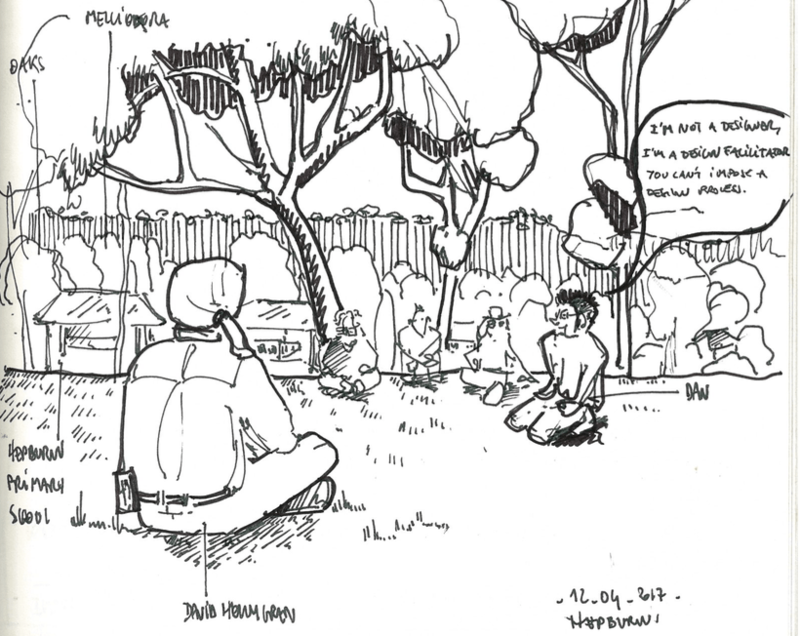 Florent’s amazing sketch of this session. I then shared a few gateways I’ve found into systems thinking / holistic observation. One I’ll save for another time, but the other fed nicely into the following session on reading landscape and involves a different take on the word aspect. Since then I have come to personally understand and use aspecting as a mode of observation that contrasts with inspecting. If inspecting is observing or looking at something by focusing in on its component parts, aspecting is seeing something as part of a larger system. When we inspect we move from whole towards parts. When we aspect we move from part toward whole. Inspecting has become our culturally default way of seeing the world. We tend to approach things by ‘breaking them down’, identifying those parts, then looking at how they fit together. 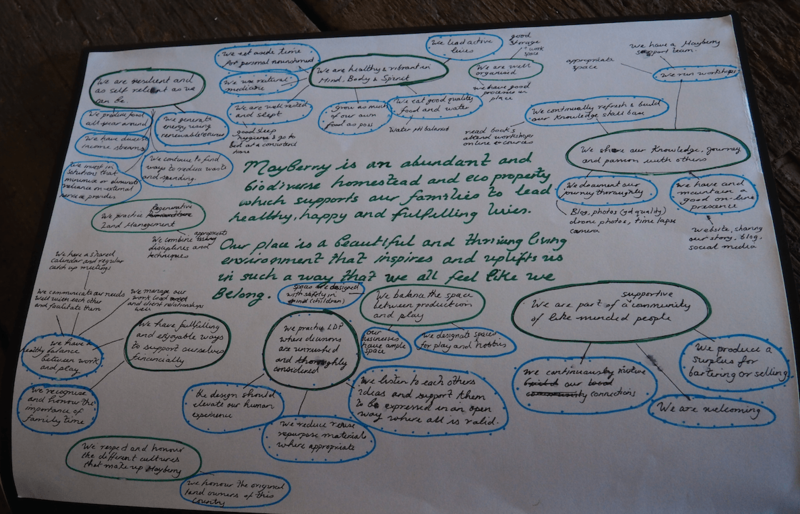 It was actually watching David read landscape in the past that helped me realise that a huge part of permaculture is sort of reclaiming aspecting as a legitimate and indeed an essential part of healthy, holistic observation. An example of what I’m talking about: one day a few years back, David lead Michael Jackson of Yandoit Farm and I on a seven-hour reading-the-landscape walk that left my spinal cord quivering with information overload for several days afterward. David’s ability to read landscape, particularly in his native habitat (he lives just around the corner), is mind-blowing and takes you from the tiniest gum nut or stone right here and now to the massive basalt plateau that flowed down over the sedimentary base layer 4 million years ago all within a couple of minutes. It is like one second, you’re looking through a magnifying glass, now from a hot air ballon 1000 metres up, now you’re lying on an ancestral gold-lined riverbed 40 feet underground, and now you’re 400 million years in the past under a kilometre-deep ocean watching the future sedimentary soils get laid down as floods seasonally spew materials out from the river ends. I’d better move on. My spinal cord is starting to quiver again. I realised how David so deeply unpacks a landscape: the key is that he uses his observational skills in a constant iteration between inspecting and aspecting. Both are critical, and I’m pretty sure from my own experience that you can’t do both at once, at least not consciously. It was quite recently that I realised sometimes you are not going upwards in scale from a part toward the whole or wholes that part is part of (aspecting), or going downward in scale from a whole toward its parts (inspecting). Quite often you simply go sideways in scale, as in the scale stays the same and you take in similarly scaled wholes (or part-wholes, or holons) adjacent to what you were just looking at. An example would be look from tree to tree along a riparian strip. I call this sidespecting. So, as we observe and interact, on the one had we move constantly between inspecting, sidespecting and aspecting. Constantly. Here is a simple example from a design consultancy I did several days ago. 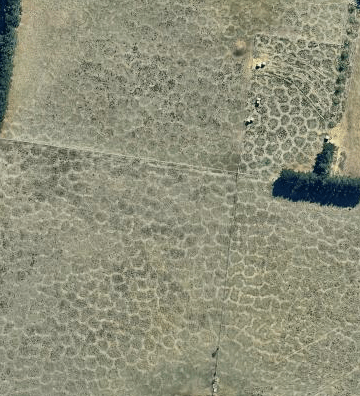 As you can see from the aerial photo there is a perplexing tessellation-like pattern going on in the paddocks. Use road cuttings & earthworks that show the soil and geology. That evening I led a session on reading people after dinner, sharing the approach I’ve developed drawing on holistic management decision making, Dave Jacke’s goals articulation process, and my own experience with what works best. I guess the take home point was that I find it crucial to spend some good time here and to go deeper than initial replies to fathom at least something of the essence (distinctiveness) of my clients in helping them articulate what it is they really want. The process at this stage results in both a true north for the project and a list of the different main areas or activities that will support that vision. I explored the parallels with reading landscape in that you are not only iterating between inspecting, aspecting, and sidespecting as you get to know your clients, but you are iterating between what you observe or feel and guesses about what this is indicating, which you then test with further questions and so on. As you immerse in the parts of the clients being shared with you, you slowly build up an increasingly complete and coherent picture of the whole. This process is integral to sound design process and has traditionally not been a strong point in permaculture. Here is an example of the (actively used and evolving) context created by the crew at Mayberry Woodend. This both defines the big-picture true north of the project, and translates it down into the actions enabling traction toward that true north and future resource base those actions depend on (learn more about this approach here). We were lucky to have Tom and Menno from Mayberry come and sit in for this session and share the people-reading process I was talking about from the receiving end. So concluded the second day. In the next post we’ll review Day Three. Holmgren, David. 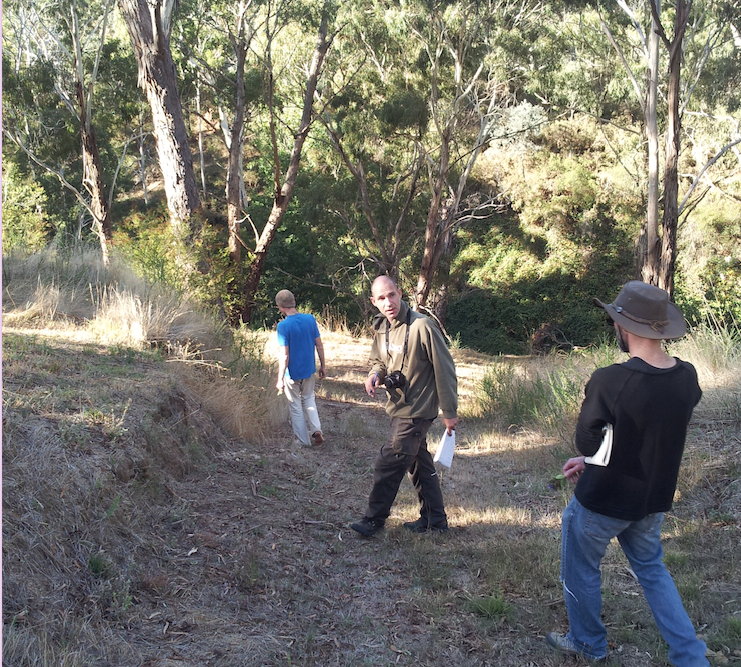 Trees on the Treeless Plains: Revegetation Manual for the Volcanic Landscapes of Central Victoria. Holmgren Design Services, 1994 (republished as Ebook 2006). Scharmer, C. Otto. Theory U: Leading from the Future as It Emerges. 2nd ed. BK, 2016. For the record, I’ll be sharing the details of this update in an upcoming post as part of the current inquiry into the relation between designing and implementing in permaculture. Also, if you think you are familiar with this diagram, look again. Hi Dan, have enjoyed your musing. Coincidently I have found myself immersed in design work again (as well as teaching) here’s a few thoughts I had after reading your posts. I liked your reference to Hakai tossing the coin, and I see that the choice being made around your three or four scenarios (the CD’s), is a little bit similar – maybe no right answer, play the card that sits in front of you. Some clients want a master plan (not too many) some just want inspiration and a bit of knowledge (and everything in between) Some patterns are almost universal, and if your client doesn’t get them, then type one errors abound. Some patterns can be deduced from the joint experience/intuition of client/designer/and some must come out of the interaction of the clients vision and reality of the team implementing some of the major strategies. Thus for me as a designer the focus becomes not on the design process, but the relationship between the ‘designer’/ client/environment which keeps generating the ‘design’/result. 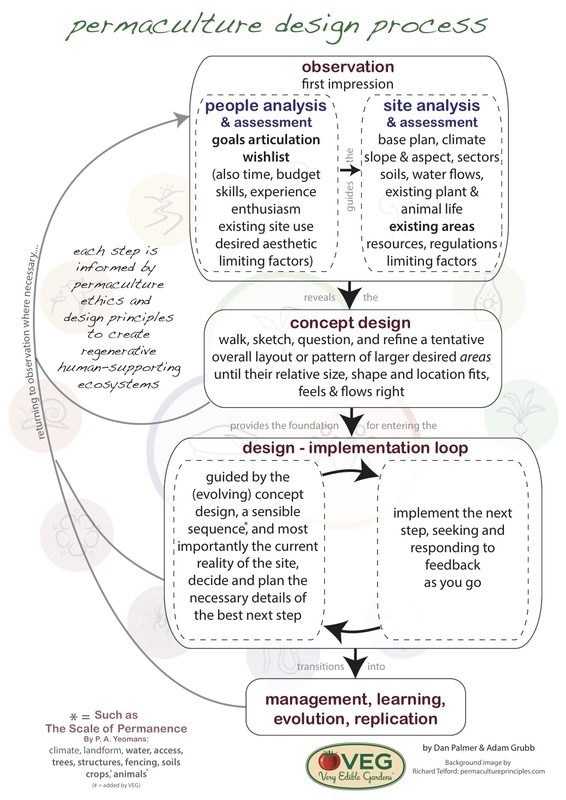 I have to admit I have some trouble getting engaged in the analysis of design process method, however i can see that it will support our various paths. Keep going it will improve our abilities. Having watched hundreds of students of ‘graduate’ from design courses, my enduring sense is that most of the ability of good design comes from the life experience of the designer (both materially and emotionally), much of which is either not consciously understood or easily communicated. Yet one of the challenges of ‘teaching’ design courses is how do we work with conscious systems to empower the designer in the person – I don’t have too many answers for that, so i will follow your continued musing with interest to see if I can better my ability to empower others. I too am inspired by Alexanders work, and believe that he has brought consciousness to the understanding he came across out of his own being/observations. There I have started the process. Now I find this fascinating because for me, this result-generating relationship, through time, IS the design process. I cannot conceive of anything called design process which is outside of this unfolding relationship, so for me they are one and the same focus. I guess I’d say that the design process (which is really a design-and-creation-process) is the thing that gathers up and co-ordinates the various ingredients (design facilitator, client, space, tools, methods, etc) toward meaningful outcomes. That said, the main message I get from what you said before that statement is about not being dogmatic or prescriptive about the methods used within the process. The thing needs to be free to breathe and define and adapt itself as things go along. Right on! I’d be really interested to hear how others feel about this? If you happen to be reading this and find yourself on the cusp of chiming in, then consider this sentence a nudge to help get you across the line ;-). I appreciate these posts so much Dan and they are sparking spine quivers and ideas of my own. My “formalised” I.e. post PDC journey into permaculture has taken place at the same time as doing academic studies in climate change adaptation planning. I’ve found permaculture, even with its existing cracks, to be a far richer source of process and ideas for supporting large scale strategic and social shifts than formal adaptation approaches. All these things that you are discussing are so on point! Luckily I now have the mental space to properly dive into this stuff (including the Otto Scharmer theory u and presencing threads). David’s repeated emphasis on financial system vulnerability is also so important to keep in mind whatever scale we are working on. Thanks Pippa, lovely to hear from you, and I look forward to hearing more when you next come up for air ;-). I’m enjoying your posts. Thanks. I have just read a book that I think you may find interesting – “Regenerative Development and Design: A Framework for Evolving Sustainability” by the Regenesis Group (https://regenesisgroup.com/). For example I found the concept of ‘vocation of place’ most interesting. Apologies if you know about the book and the regenerative concept already. In terms of Christopher Alexander’s work I found his book the “Oregon Experiment’ the most interesting to read from a design point of view. I notice you have not referenced it in your posts. I suggest you read it or read it again in light of your present enquiries around design processes. In particular I think the concept of ‘diagnosis’ has a lot to offer. I have a copy of “Regenerative Development and Design” and have huge respect for Bill Reed and Joel Glanzburg from Regenesis, who I’ve been lucky enough to meet and learn from directly. I had a lovely skype with Bill a few days back, and when I explained the juncture I feel making permaculture stronger is arriving at, he replied something like “Dan, that is exactly where Regenesis started!” Along with the work of their colleague Carol Sanford and others I feel that these folk are decades ahead of the game in terms of design process innovation, and I look forward to bringing various threads of their work into the evolving fabric of making permaculture stronger. I don’t suppose you’d be up for summarising their “vocation of place” concept here for myself and other readers? As for “The Oregon experiment” I appreciate your comment – one reason is that I have never heard anyone mention this book as a design process go-to-book of Alexander’s – usually the spotlight is firmly focused on “the timeless way of building” and “a pattern language”. As you suspect, I have not read the Oregon experiment properly, even though it is sitting on my shelf, having been engrossed in Alexander’s later works, and so your comment has prompted me to make the effort. That said, the material from the link you shared on diagnosis appears to comes straight from the nature of order series (which Alexander spent 30 years writing having found that the pattern language project failed in having the desired affect on architecture). I’ll be curious to track the ideas back to the Oregon experiment.